Believe it or not, I do not believe that “outsourcing” payroll is a good fit for all companies. As a matter of fact, there are times when I have advised prospects against it even though they really wanted to pursue it. However, there are several instances in the lifecycle of a company when the executive team should make the decision to partner with a payroll service provider. Let’s first talk about how important payroll is. How on earth do you ever expect to have a successful company if you cannot pay your people and your taxes correctly? Doing either one of these tasks incorrectly more than once is a recipe for disaster. This is the type of stuff that will haunt your dreams and drive employees running for the hills. You need to take this seriously. What does “payroll outsourcing” even mean? Next, let’s define “payroll outsourcing.” This term has a negative connotation in many respects, but we have seen the word “outsourcing” get abused in many arenas for years. The reality is that when you partner with a payroll company, you are outsourcing risk, tax filing, money movement, technology overhead, etc. However,it is typically not going to save enough time to “outsource” a job (unless you have hundreds of people across multiple states). The “outsourcing” provided by a payroll service provider gives you the ability to focus on the mission of your company, and leave the details to a professional. Outsourcing to a cloud-based payroll service does give you access to top of the line tools, control of your data, and expertise that you will not find in most software packages. There are occasions that it makes more sense to get an instance of payroll software and self-perform, but that usually comes with scale (hundreds of employees, minimal complexity, etc.). Small business owners paid $4.5B in payroll tax penalties last year. Tax penalties create a lot of challenges for you since the notices don’t come immediately and you may have made several other mistakes by the time you are notified of the original mistake. I have had several clients that were still fighting penalties from prior years long into our partnership. Let’s take a look at five times in the lifecycle of a company where it makes sense to look at payroll service providers. If you are just starting a business, your time and capital are the most valuable resources you have. You need to do everything you can to protect those resources. When we first started ERG Payroll & HR I thought I needed to do everything to save a few pennies. The more I learned to let go of the things that were not the core focus of the business, guess what, we grew exponentially! Starting a business takes most of your time. You need to choose carefully the new skills you are going to take time to learn. I would strongly suggest spending your time learning skills that are all meant to help you develop new business. Learning how to do payroll properly when someone else can do it for a few bucks a month is not a good use of your time. This is the category that most of our clients fall into. Anything and everything that does not contribute to the bottom line, should be automated. When you are growing a company, you need to be 100% focused on tasks that contribute to that mission. “Is this going to help us grow? If it did not help Facebook grow, it didn’t happen. You have to have a razor-like focus on your goals and cannot let tactical tasks get in the way. You cannot have people doing payroll that are qualified to do revenue generating activities. This one is pretty straight forward. The amount of time you will spend dealing with the Fed and multiple state agencies does not have the return on investment of other activities you could be doing. You should hand these responsibilities off to an organization that has already navigated the minefield of working with different state and local jurisdictions. Trust me, you don’t want to get involved in dealing with the withholding and unemployment departments for multiple states along with the IRS. You can plan on spending hours every quarter waiting on hold, being transferred, being directed to technology that does is not working properly (because it is the gov’t) and getting hung up on when they finally transfer you to the right department, only to start over again. Oy. If you are a small business owner or executive and you are more of a “big picture” thinker than a detail junky, you need to let a payroll provider handle the back end. All it takes is a couple of small mistakes and you are spending additional hours of your precious time every week dealing with governing bodies instead of growing your business. I have had clients that are still dealing with IRS issues from months and even years prior to us taking over their payroll. The IRS is never in a rush to help you solve your issues. The longer it takes to clear up your mistakes, the more penalties accrue! This is a bit of a moving target, but if you have more than 50 employees and you are subject to the employer mandate (free guide to the mandate here), it is going to make sense to partner with someone who is doing the reporting for other companies rather than learning a new discipline for yourself. The reason I cap this out at 200 employees is because as you scale it might make sense to hire a person to handle the process in it’s entirety and focus on payroll only. If you have more employees than this and your workforce fluctuates, you should evaluate the ROI of a partnership. 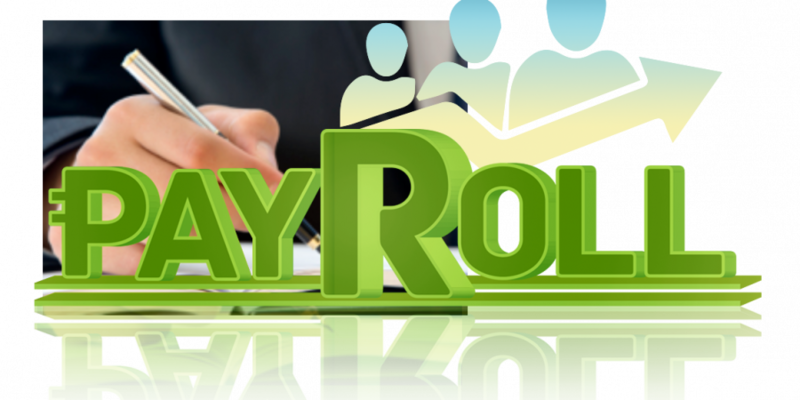 Often times you can have HR/Payroll team members working together that are not doing solely payroll up until that threshold. Once again, this changes dramatically based on the complexity of your industry/geographic footprint/risk aversion, etc. While this list is not all inclusive, these are opportunities for you to evaluate who and when you should partner with to outsource your payroll. There are plenty of great payroll service providers out there and I believe you should try to find one that matches not only your needs, but your company culture so you can have a great personal fit. You should not have to change payroll services often, so make sure that the partner you choose is aligned with your goals for the next 18-24 months and can handle any foreseeable complications that might arise.